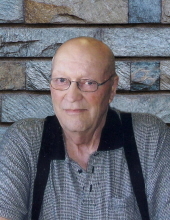 On behalf of the Cornforth family, it is with great sadness we announce the passing of Robert Douglas Cornforth on March 25, 2019 at the age of 83 years. Robert leaves to mourn, his loving wife of nearly 61 years Darleen; his children, Todd (Tracy) and Carol (Steve); three grandchildren, Jonathon, Sabrina & Paige; brother in law, Roy; sisters in law, Edith and Helen; as well as many nieces, nephews and friends. Robert's family wish to extend their sincere gratitude to Dr. Odetola & the nursing staff at Hardisty Health Centre. A celebration of life will be held Saturday, March 30, 2019 from the Hughenden Community Hall, Hughenden, Alberta at 2:00 PM with Reverend Eleanor Ness officiating. Interment to follow at Lake view Cemetery Hughenden, Alberta at a later date. If friends so desire, in lieu of flowers, donations are gratefully accepted to the West End Fire Rescue, the local Benevolent Fund (cheques payable to Hughenden United Church), or to the charity of the donor's choice. "Email Address" would like to share the life celebration of Robert Douglas Cornforth. Click on the "link" to go to share a favorite memory or leave a condolence message for the family.